The Trump administration has just quietly but more-or-less-officially dropped the Obama policy of regime change in Syria. Movement towards peace is always, in my experience, accompanied by "Apollonian" Pallas aspects, involving the Sun, Mercury, and/or the North Node. The USA Sibley chart for the day of Tillerson's comments has transiting Mercury sextile US Pallas and semisquare progressed Pallas, transiting Sun semisquare US Pallas, and transiting Pallas "undecile" US Pallas with progressed Sun/Pallas conjunct the midpoint. 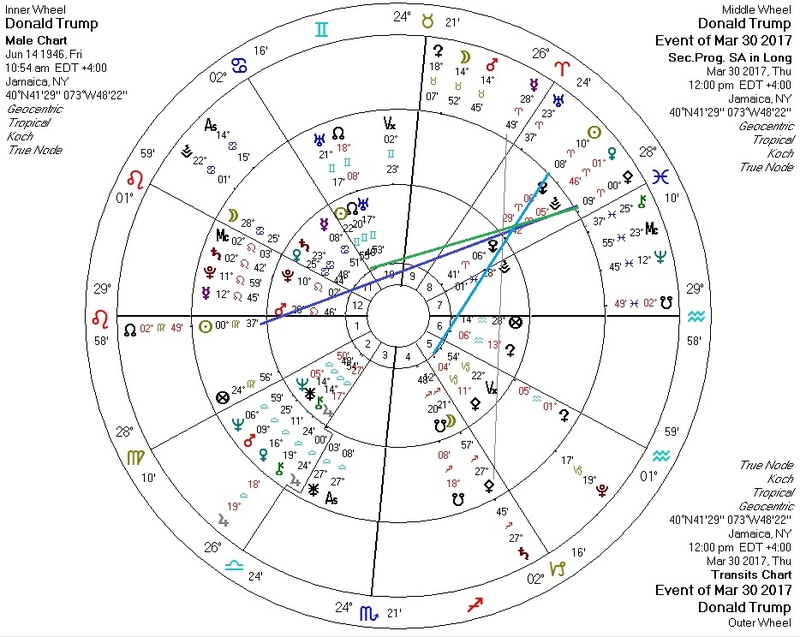 President Trump's chart for the same day has transiting Mercury trine his progressed Pallas, transiting Sun square his natal Pallas, and transiting Pallas septile his Sun and quincunx his progressed Sun. 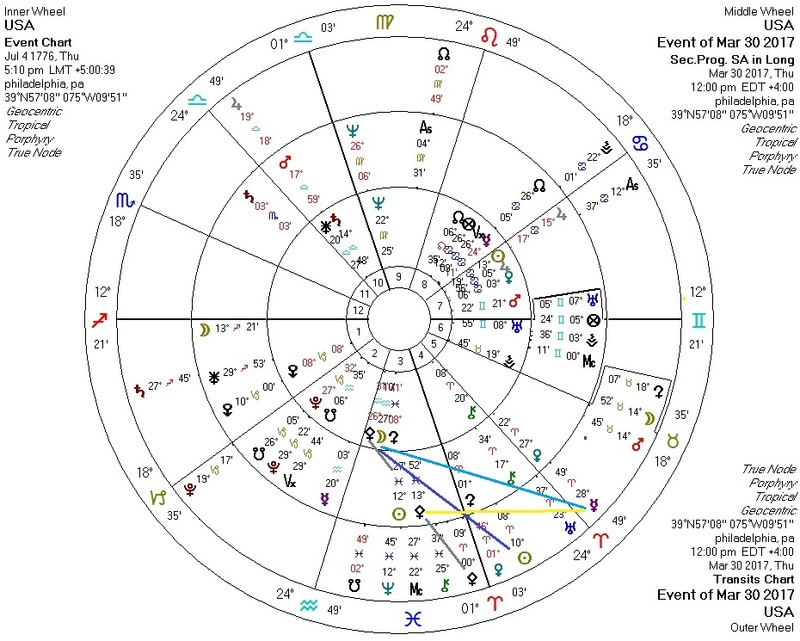 This is what significant "peace events" look like astrologically -- a jumble of aspects involving Pallas/Sun/Mercury for the parties ending their aggression. The chart for Syria has some nice Jupiter/Venus transits against it, of the type that any decent Western astrologer should easily be able to parse. These all bode well.